Suburbs of Dickinson: Lehigh, New Hradec. Dickinson is also known as: Stark County / Dickinson city. Their current mayor is Mayor Dennis Johnson. Zip codes in the city: 58601, 58602. Stevenson's Funeral home is a family owned and operated establishment since 1952. Founded by Lee H. Stevenson and now owned by Jon and Marlys Stevenson, we serve Eastern Montana, South-Western North Dakota and North-Western South Dakota. Some of the notable people born here have been: Bennie Joppru (american football player), Kellan Lutz (actor and fashion model), Aaron Krauter (farmer and businessperson), Carlotta Schock (actor), and Clay S. Jenkinson (historian and author). Dickinson is a city in Stark County, North Dakota, United States. It is the county seat of Stark County. The population was 17,787 at the 2010 census. The U.S. Census Bureau estimated 2014 population is 22,322.Since the North Dakota oil boom the city has become one of the fastest growing cities in the United States. The city according to the 2014 census is estimated to have a population of 22,322, however, other sources have estimates of the population at 26,771 or possibly exceeding 30,000. The rapid growth of the city has led to an increase in crime and homelessness within the city limits. 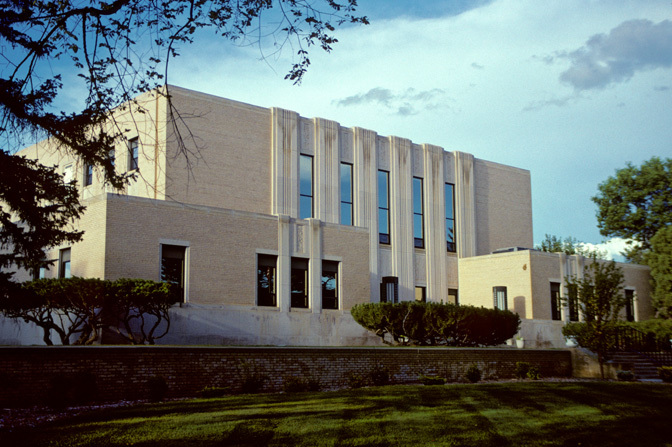 Also the city has seen an increase in diversity, with increases in the Latino, Asian and African American populations.Dickinson is the principal city of the Dickinson Micropolitan Statistical Area, a micropolitan area that covers Billings and Stark counties and had a combined population of 24,982 at the 2010 census. It was reported by Grand Island Independent on November 29th, 2018 that Sandra E Patzer (Provolt) passed away in Hastings, Nebraska. Ms. Patzer was 71 years old and was born in Dickinson, ND. Send flowers to share your condolences and honor Sandra E's life. It was reported by Register Guard on August 16th, 2018 that Rosemary "Rosie" Barbisan (Seidl) passed away in Eugene, Oregon. Ms. Barbisan was 79 years old and was born in Dickinson, ND. Send flowers to share your condolences and honor Rosemary "Rosie"'s life. It was revealed on August 8th, 2018 that Matthew Demayo passed on in Dickinson, North Dakota. Demayo was 33 years old. Send flowers to share your condolences and honor Matthew's life. It was revealed by Des Moines Register on December 31st, 2017 that Margaret J "Peg" Hoffman (Hughes) died in Des Moines, Iowa. Ms. Hoffman was 81 years old and was born in Dickinson, ND. Send flowers to express your sorrow and honor Margaret J "Peg"'s life. It was revealed by San Diego Union-Tribune on November 5th, 2017 that Julia Beth Jacobson passed on in Ontario, California. Jacobson was 37 years old and was born in Dickinson, ND. Send flowers to share your condolences and honor Julia Beth's life. It was reported on November 5th, 2017 that Kevin Michael Stallings passed on in Dickinson, North Dakota. Stallings was 49 years old and was born in Eugene, OR. Send flowers to express your sorrow and honor Kevin Michael's life. It was reported by The Desert Sun on August 6th, 2017 that Delores M Chrisman (Hatzenbuhler) died in California. Send flowers to share your condolences and honor Delores M's life. It was noted by The Bismarck Tribune on June 2nd, 2017 that Dean Nester passed on in Dickinson, North Dakota. Nester was 78 years old. Send flowers to express your sorrow and honor Dean's life. It was disclosed by The Bismarck Tribune on May 13th, 2017 that Von Riddle perished in Dickinson, North Dakota. Riddle was 78 years old. Send flowers to share your condolences and honor Von's life. It was disclosed by Tri-City Herald on April 10th, 2017 that Michele Rae Huber died in Richland, Washington. Huber was 61 years old and was born in Dickinson, ND. Send flowers to express your sorrow and honor Michele Rae's life. The population was 16,010 at the 2000 United States Census census. 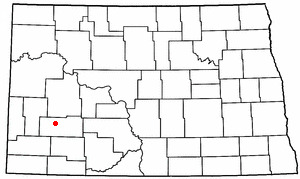 Dickinson is a city in Stark County, North Dakota County, North Dakota in the United States. Dickinson was founded in 1882. It is the county seat of Stark County . . The official website for the city of Dickinson is http://www.dickinsongov.com/. According to the North Dakota Highway patrol, Tom Speich ... Tom Speich is the great-nephew of Senator George Nodland (R-Dickinson). Funeral arrangements are pending.